For beer number 5 (I didn’t take notes on #4) I got in line with and waited patiently for the release of their big barrel-aged Russian Imperial Stout. And even though they only gave out 6 oz. pours, boy was it worth it! 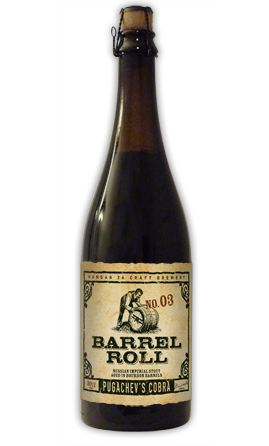 PUGACHEV’S COBRA is a part of their Barrel Roll Series. This Russian Imperial Stout has a surprising 85 IBUs and a massive 16.5% ABV. Get ready for an assault on your senses with PUGACHEV’S COBRA, an intense Russian Imperial Stout. This rich, black beauty with a thick caramel head is bursting with aromas of chocolate, vanilla, oak, bourbon, licorice and dark fruits, while flavors of chocolate-covered plum, sweet malt, bourbon, and roasted coffee explode on your pallet. This is no ordinary beer; three different dark roasted malts and rich maple syrup are combined in a truly unique brewing process to create complexity and depth. Once fermented, it’s then aged for eight months in freshly emptied bourbon barrels. This powerful concoction is designed to be enjoyed now with friends or cellared to perfection and savored in the years to come. The minute I was handed my cup I knew I was in for something special. It pours a deep, deep brown that is thisclose to black. A wisp of brown sits atop it. My god the nose on this beer was magical! Chocolate, butterscotch, caramel and a touch of bourbon. All of the sweet smells (those mentioned above and others I didn’t pick up on their own) all blend together to make the backend of this beer’s nose smell like s’mores. Thankfully the taste of this beer was almost as good as the nose. 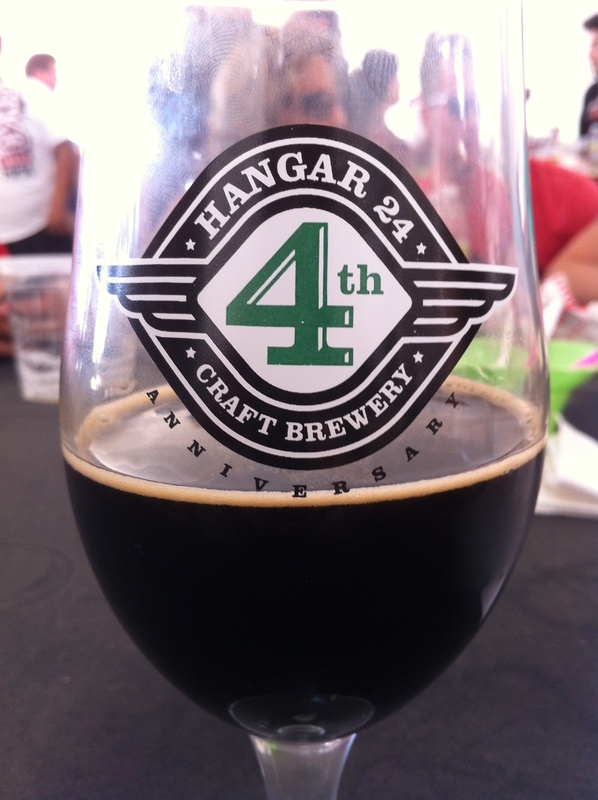 Dark fruit, chocolate, s’mores, roasted coffee, and oak are all present and detectable. Hints of coconut and bourbon were also picked up, but not in the same quantities as the flavors listed above. As it warms up the bourbon becomes more pronounced and imbalances the cohesive flavors that first appeared. Tons of flavor in this beer. The mouthfeel is damn near thick. It goes down like a syrup and leaves some stickiness behind. Slight drying occurs along the gum line, but nothing that would hurt the score. Pugachev’s Cobra is a great beer. I would love to do a side-by-side comparison of this and Angel’s Share. I imagine a few more months in the bottle/barrel and this beer could take the world by storm.